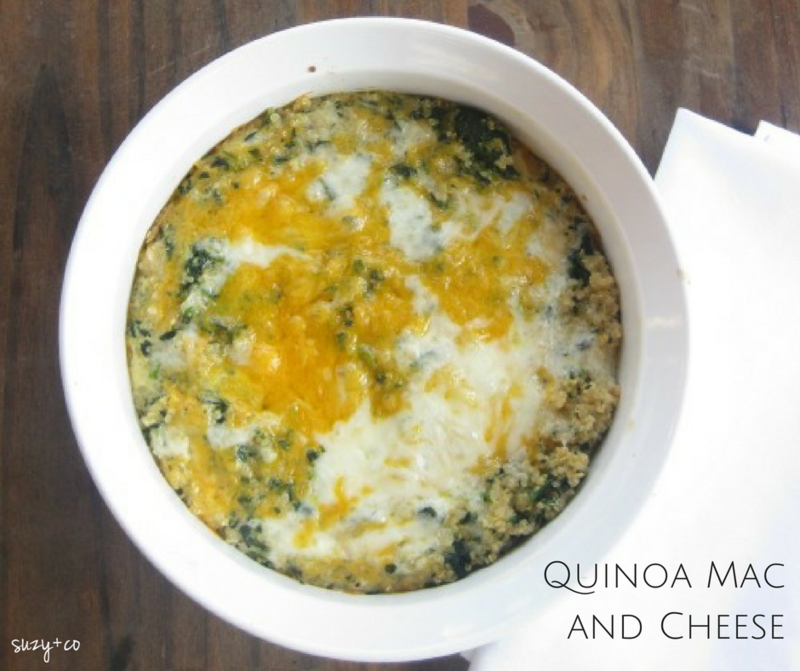 I really wanted to name this post easy, peasy quinoa-aroni and cheesy. But I decided to go a more classic route - quinoa mac and cheese. Not only is this recipe simple, it only has 7 ingredients. If you were to use regular pasta, it actually only puts you at about 9, so you could still add another veggie or spice. Because it is a single ingredient. It was not for health reasons. Not because it has all the amino acids. Not because it is gluten-free. Not because it is trendy. The reason I made this with quinoa was simply because I ran out of pasta and had no desire to make some from scratch. Nor did I want to go out to the store. So I decided to make my basic mac and cheese recipe with quinoa instead. So yes, I was lazy. But this totally worked! So it was a win-win. Butter the inside of a 1 1/2 quart casserole dish. In a medium bowl, dissolve the dry mustard, salt, and pepper in the milk. Add the egg and whisk. Add the spinach and quinoa and mix. Mix in all but about 1/4 cup of the cheese. Place mixture in the casserole dish and top with the remaining cheese. *White cheddar cheese has less ingredients since it is not colored. Yes, I totally cheated on this recipe and added some yellow cheddar since I did not have enough white. So I guess technically it is 8 ingredients as shown in my picture but you could totally do it in 7! ** I hate when recipes say salt and pepper to taste. How are you supposed to know how much salt to add? This isn't raw cookie dough that you can taste. So I added about a teaspoon which seemed like a good amount of saltiness.